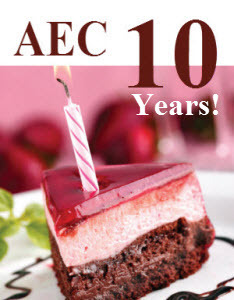 Apr 2016 - AEC Rochester 10 Year Anniversary! AEC Rochester's first case ever was April 10th, 2006. We saw only one patient that evening, an avian egg dystocia case, but things took off after that. Five years later, after being opened on nights, weekends and holidays only, in May 2011 AEC Rochester opened it's doors for 24/7 operation and they have never been closed since! 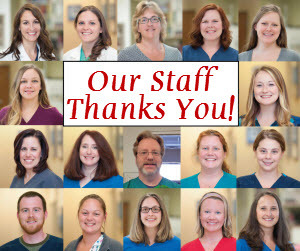 This anniversary year we find ourselves looking back and being ever so grateful and thankful for our customers and for all of the support our referring veterinarians have provided. 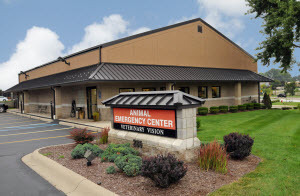 We do our best to give our patients and their owners the best emergency care possible, and do so with care and compassion that is hard to find elsewhere. If you are a referring veterinarian please keep an eye out for your personal invitation to our Open House event! We will have a smorgasbord of yummy appetizers, finger foods and tasty treats provided by Nino Salvaggio! There will be plenty of door prizes and raffles for Tiger Tickets, a tablet, a Fit Bit and more! Our doctors and staff will be on hand to give you a tour of our hospital and you will be able to check out our new Cuattro Radiology System, upgraded Sonosite Ultrasound unit and the latest Heska blood test machines.